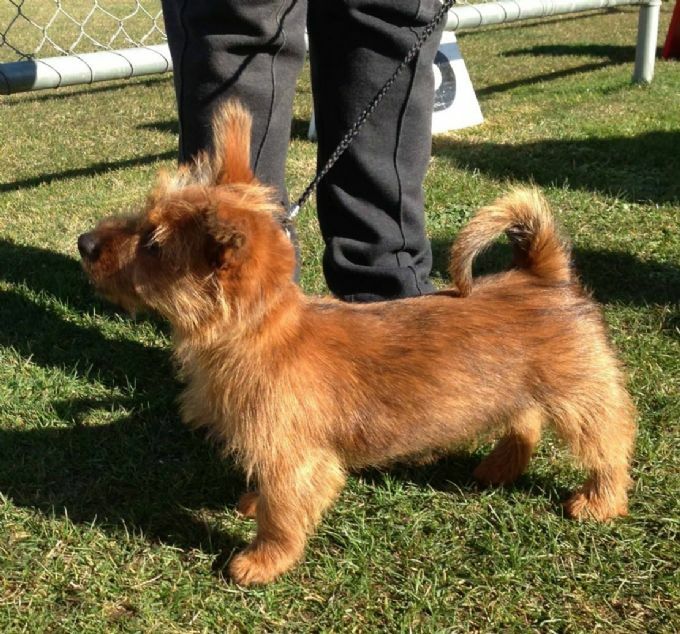 I have been smitten with Terraozzi Australian Terriers for some time and was over the moon last year when Nicole Korzynski agreed for me to have one of Ruby and Jasper's babies to join my breeding programme. In July 2017, Jean Lemon (from Lemonlee Australian Terriers) travelled with me to Victoria to pick up our precious 'gem' Terraozzi Golden Jewel. Jean and I both enjoyed meeting fellow breeders Nicole and Steve and their family of magnificent Aussies. 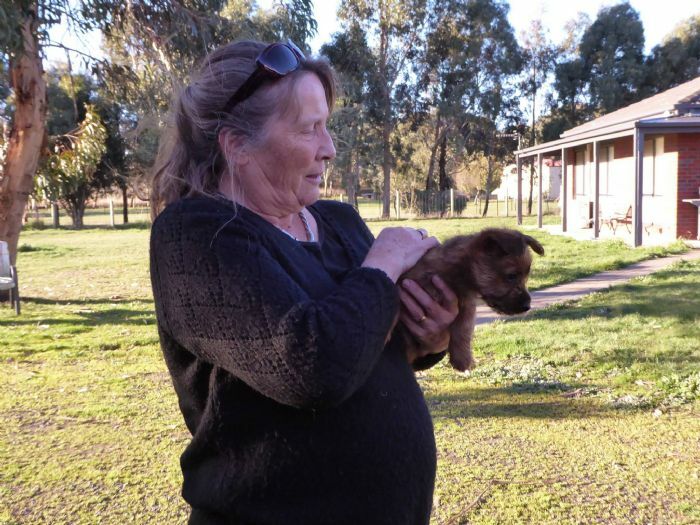 We spent a few days exploring the beautiful countryside around Ballarat and bought home our beautiful baby girl Nikki, our first 'red' Aussie. Nikki began her show career at 3 months. She won a number of 'Baby in Breed' wins and also won Baby Puppy in Group. 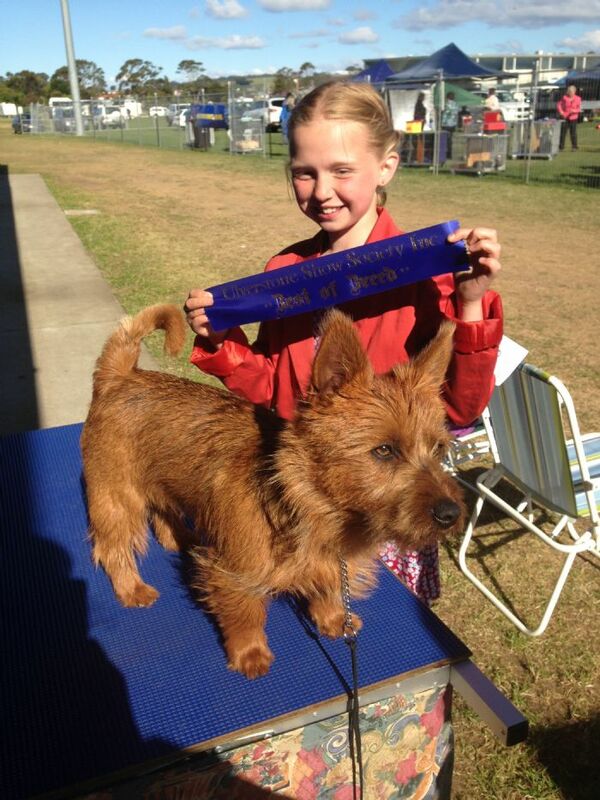 She went on to have a very successful show career with numerous 'Best of Breed' wins. She is agile, alert and has an outgoing personality, (and I think she is just gorgeous). 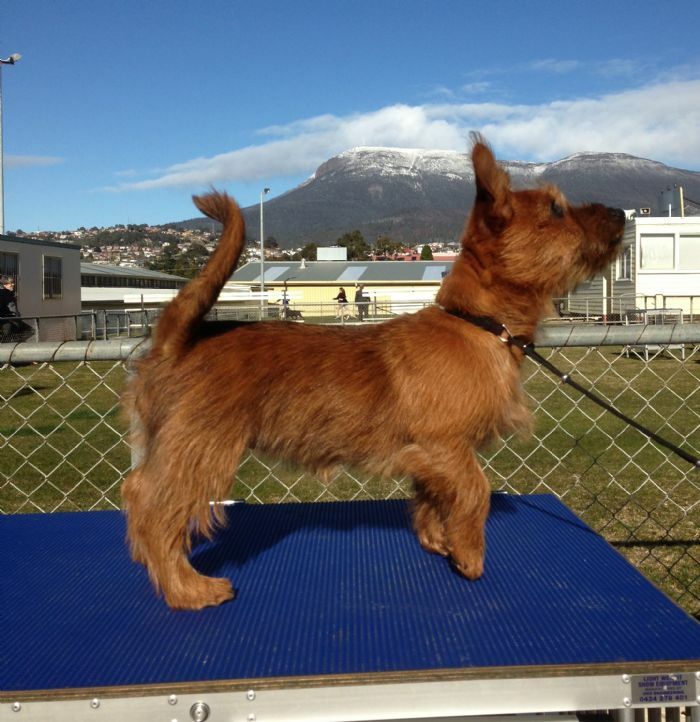 At 10 months she gained her Australian champion title. Nikki really enjoys going to the shows and has been shown almost exclusively by my 11 year old granddaughter Briana. DNA results: Nikki's DNA has been tested and her results are clear of all known genetically identified diseases. Breeding: It is likely that Nikki will be mated to a carefully selected beautiful red male dog later in the year (2018). So keep checking the web site for news of future puppies! 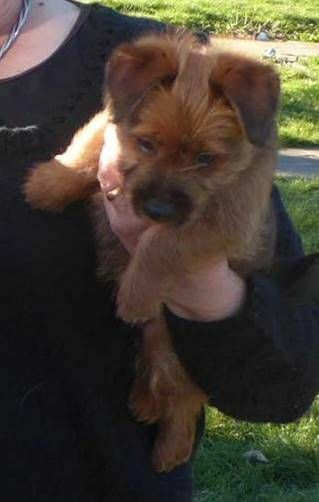 Nikki (about 10 weeks) soon after she arrived in Tasmania. Nikki on a recent trip to Victoria - she enjoyed exploring the beautiful countryside with me. 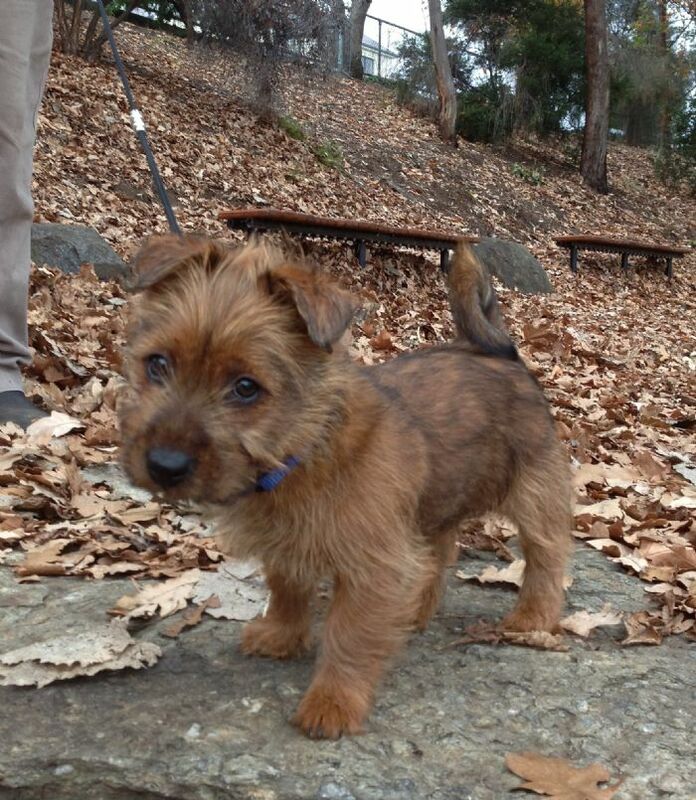 This photo is taken at Daylesford Lake. Nikki at Daylesford Lake - she is showing off her beautiful spotty tongue!